A recent Citizens Bank Survey reported here on Market Watch revealed "An alarming three-quarters of Americans with student loan debt (74%) wish they had done more to minimize the burden of their student loans...66% report that their student loans prevent them from saving as much as they’d like...61% believe that their parents don’t have a full grasp on what paying for college is like today" and "More than half (53%) believe that discussing paying for college with parents earlier would have decreased the amount of student loan debt they incurred." It is clear that college debt is a serious issue that needs to be addressed before college choices are made. Those costs include different factors and are only averages but should provide a sense of possible costs. The figures also do not take into account possible scholarships or grants. Keep in mind that the average number of years for students to finish college is 5-6 rather than 4 so final Degree Costs are often significantly higher. In comparison, gap year students more commonly finish college in four years or less. Note the following Gap Year Colleges selected by Value Colleges. These colleges support the gap year as a powerful way of learning about who you are and where you can go. As Value Colleges states, "A gap year gives young people the chance to mature, to learn more about their career goals, and to decide what path is right for them." Colleges are increasingly expressing their support of a gap year for applicants for these very reasons. It can only benefit them to have students on campus who are more mature, rested, and potentially have a clearer sense of educational or career direction. For example, Harvard University accepts 5% of its applicants and the total 2018-2019 cost of attending without financial aid is $46,340 for tuition alone, and $67,580 for tuition, room, board, and fees combined. However, Harvard offers solid financial assistance. The financial aid program requires no contribution from Harvard families with annual incomes below $65,000; asks from 0 to 10% of income for those with incomes up to $150,000; and expects proportionally more from families with incomes above $150,000. As an Ivy League institution, Harvard takes academic rigor, intellectual exploration, and well-rounded education very seriously. This is why they strongly encourage gap year programs abroad and domestic, and make the process easier with flexible admissions policies. The gap year can involve volunteer work, travel, or dedication to a special project and is perfectly acceptable to Harvard as long as students do not enroll at another college or university during this period. The University of Oregon has an acceptance rate of 83% and tuition and fees, including room and board, of approximately $47,000 before any student aid program offers. 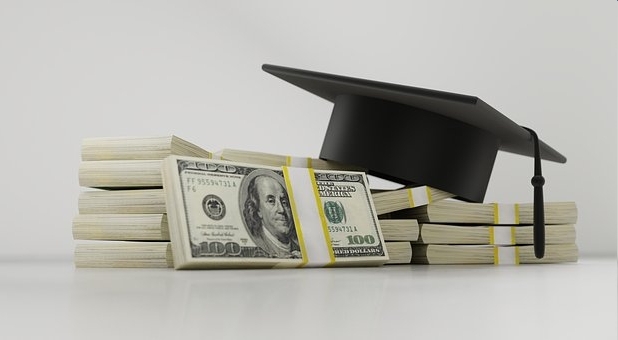 The university offers $245 million dollars each year in financial aid to qualifying students. Oregon honors admission for up to one year if a student chooses to defer and take a gap year. To apply, students must describe their gap year plan and what could be gained from the experience. Students who earn college credits during a gap year lose deferment status, however, and must reapply to the University of Oregon as a transfer student. Florida State University has an acceptance rate of 49% and tuition and fees, including room and board, of $33,499 for out-of-state students before any student aid program offers. Each year they award and administer more than $350 million dollars in financial aid to eligible students. Students receive aid in the form of scholarships, grants, work study, and loans - funds that help them focus on their education and complete their degree. For the gap year, FSU students can apply for one of the Gap Year Fellow awards, up to $5,000 from the college, to support them during their gap time. They are asked to fill out a short application which requests a "bridge year" proposal with defined learning objectives and educational goals for the year. We invite you to take a look again at all 35 colleges that actively support the Gap Year. You will find that a good number of them have high acceptance rates and all have a variety of academic focuses and a wide range of costs.